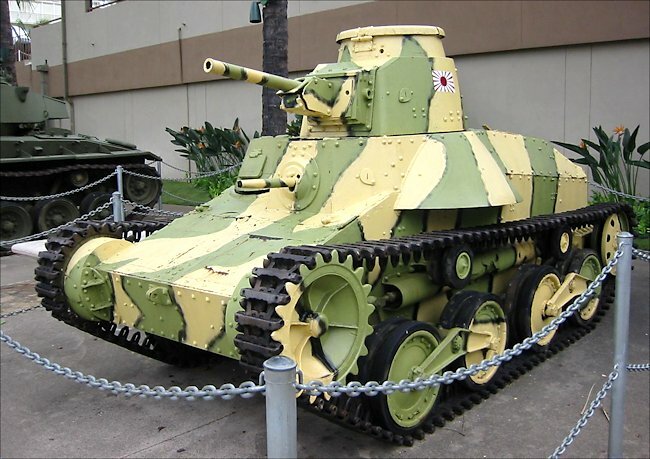 In terms of tank design Japan was not as progressive as most other belligerents in the Second World War. For example the Type 95 was produced in 1935 (year 2595, Japanese Imperial Calendar) and remained in front line service throughout the war. The tanks were produced by Mitsubishi Heavy Industries who are believed to have built over one thousand of this model. 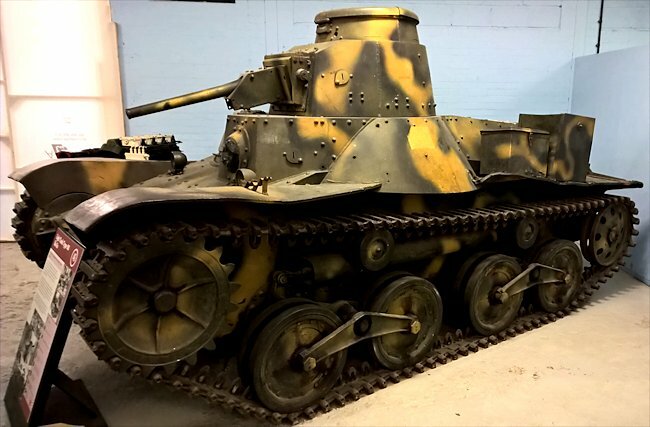 This Japanese Type 95 Ha-Go light tank is looked after at the Tank Museum, Linsay Road, Bovington, Dorset. The nearest train station is Wool Railway Station. You can walk the 2 miles to the Museum but there are not pavements along the country road and if you are travelling with children it can be dangerous. It takes 45 minutes by foot. There is an irregular bus service from Wool Station that will get you to the museum but they only come once an hour in the morning starting after 9.30. The last bus back to the station from the Tank Museum is just after 13.45 which is really silly. There is no Sunday bus service. The easiest way to get to the museum from the train station is by taxi. They can be pre booked with Garrison Cars to meet you when your train arrives and pick you up for the return trip from outside the museum. Their phone number is 01929 463395. The most advanced feature was undoubtedly the air-cooled Mitsubishi Diesel although the suspension was simple and rugged. However the method of construction, using bolts and rivets was very dated by 1942. More modern tanks were cast or welded together. The interior of the tank was cramped and uncomfortable, especially for anyone trying to operate the rear turret machine-gun, and it is interesting to note that the main gun could move independently of the turret. The markings indicate a tank of 14th Sensha Rentai (Tank Regiment) in 3rd Sensha Shidan (Tank Division) around 1941. This Type 95 was captured in Malaya and was examined in Calcutta before being sent to Britain. 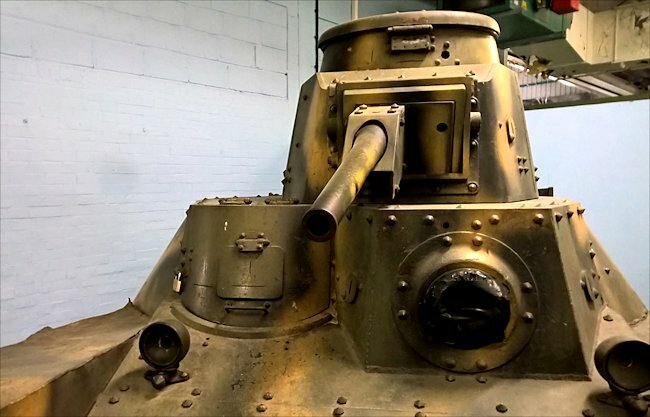 Surviving Japanese tanks from the Second World War are extremely rare. 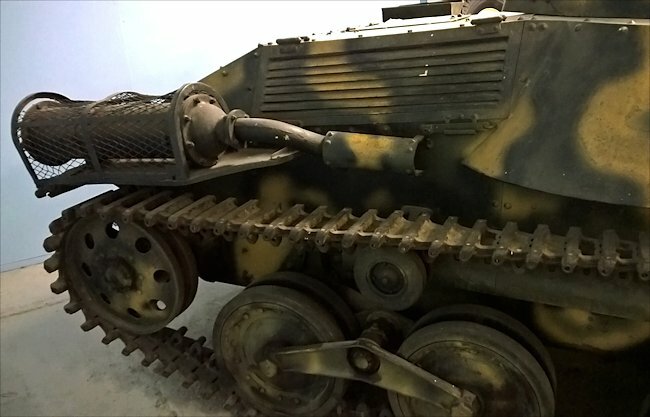 Where can I find other preserved Type 95 Ha-Go Light Tanks?